When I was in college, I loved my biochemistry class. Then came nutritional biochem, that was even more awesome! I love to think about how the foods we eat are broken into tiny pieces and then directly control chemical reactions all over our bodies, including gene expression. At that moment the memory that popped up in my head was of curly kale on a plate at Denny’s. It must have conjured up an image from my childhood because I also felt Grandma’s presence; I’m pretty sure she’s the one who took us to Denny’s. Ever since, I try to eat kale when I can. 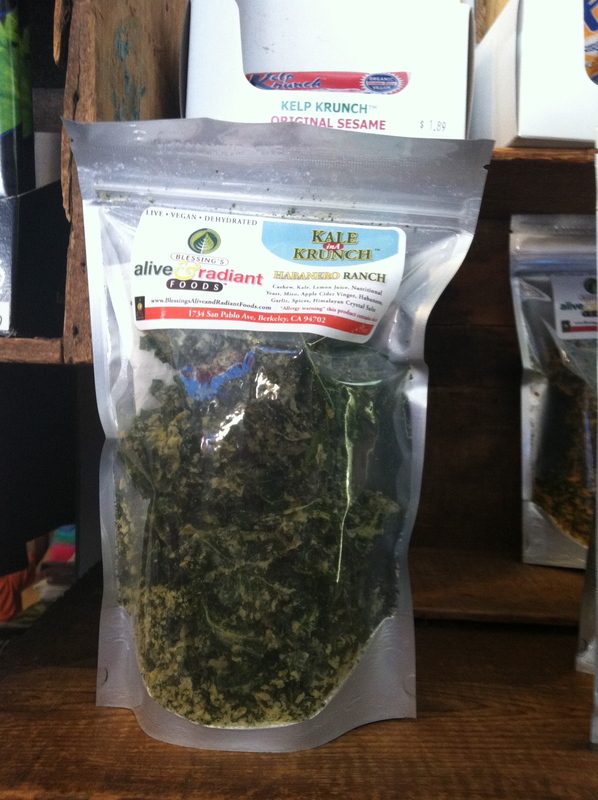 Recently, kale chips have been all the rage, so I thought it was time to try them out for myself. They weren’t anything I imagined, and actually quite good. Super easy to make too; again, a two-year-old can do it. Preheat oven to 375 degrees. Line a baking sheet with parchment paper or place a cooling rack on top of a cookie sheet (if you are like me and don’t have parchment paper when you need it). Wash the kale well and spin dry. Remove the kale leaves from the thick stems. I was lazy and didn’t do this step. The chips turned out fine, but I will take the time to do it next time. Season the kale with a drizzle of olive oil and a sprinkling of salt and pepper. Place on the cookie sheet and bake for 10-15 minutes. We would kale, spinach, relaly good onions and garlic, beets (my favorite), different types of lettuce, berries, bananas, peaches, tomatoes, mangos, papayas every 2 weeks we would just get a box with maybe 30+ pounds of produce. A lot of seasonal things are grown year round down there, so that made cooking for Betty easy. Not all of it was locally grown in South Florida, some would come from Georgia or other Southern states.